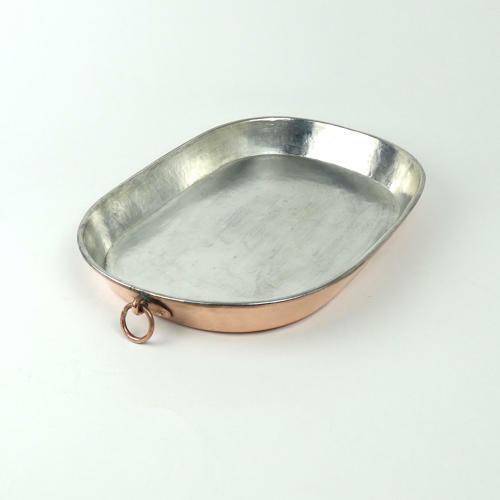 A large, Victorian, copper baking dish. This piece is a slightly different shape to the usual, being rectangular with canted corners, and it dates from c.1880. It is made from a heavy gauge of copper and it has a simple, folding loop handle to one end, and a rolled rim. There is very minor scratching to the copper, on the base of the pan, from use, but otherwise it is in very good condition. The interior has been re-tinned so that it can be used.